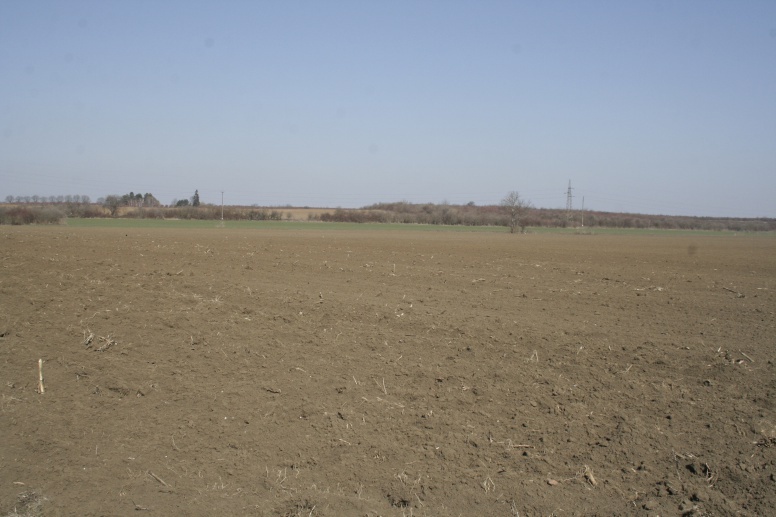 The site of Blato is situated on a gentle elevation surrounded by lowlands, at the foot of the Đakovo-Vinkovci loess plateau, north-west of the centre of Vinkovci. The Vinkovci Municipal Museum, in collaboration with the Institute of Archaeology has carried out continuous field surveys and excavations at the site. The many collected ceramic, metal and glass finds point to the existence of a lowland settlement of the La Tène culture. A large collection of metal and ceramic finds were given to the Museum by Z. Harhaj, although the first finds from Blato had been known since 1878, when Neolithic potsherds and 6 to 7 cremation graves were discovered. The test excavation carried out by Š. Ljubić in 1887 yielded potsherds from the Late Iron Age. The field surveys carried out since 1997 yielded abundant material, which by and large belongs to the La Tène culture. A minor test excavation was conducted in 1998, while a test trench excavated in 2010 was 500 m long. 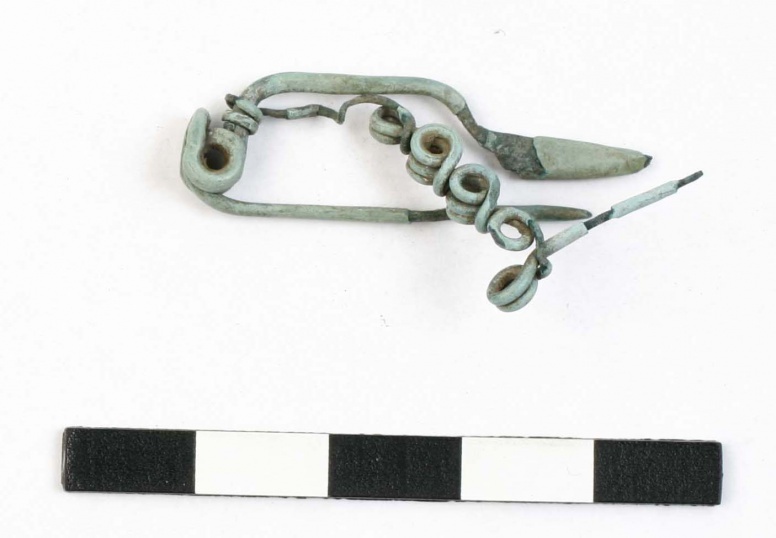 The investigations showed that a Sopot culture settlement and an Early Bronze Age settlement existed in the eastern part of the site, and there was also a small assemblage of Late Bronze Age finds. Occasional finds from the Early Iron Age and from Antiquity were also documented on the surface of the site. Most of the finds collected so far belong to the La Tène culture. 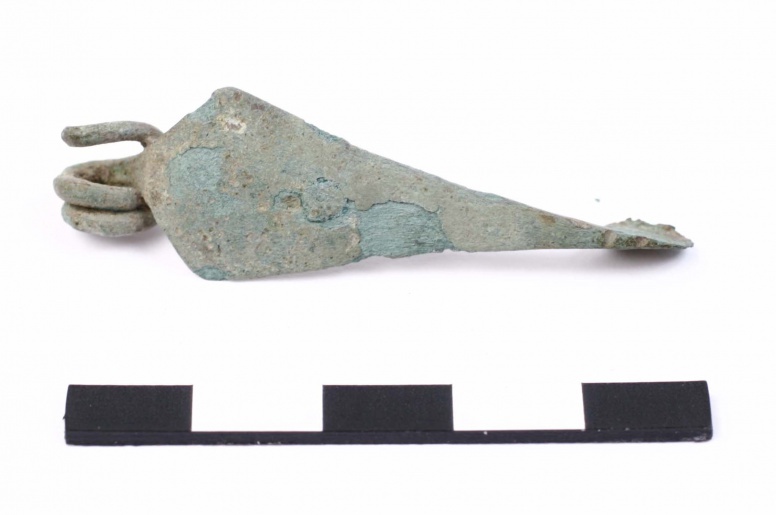 The fragment of an Early La Tène Dux fibula is considered the oldest find. 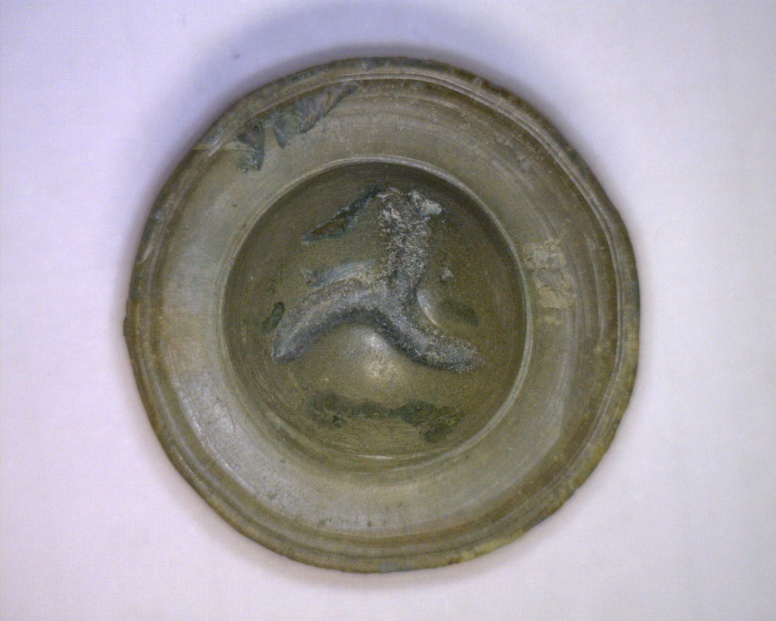 The test excavations uncovered the infrastructure of a lowland settlement of the La Tène culture, to which numerous surface finds of costume and jewellery can be attributed, as well as horse gear, bronze vessels and coins. 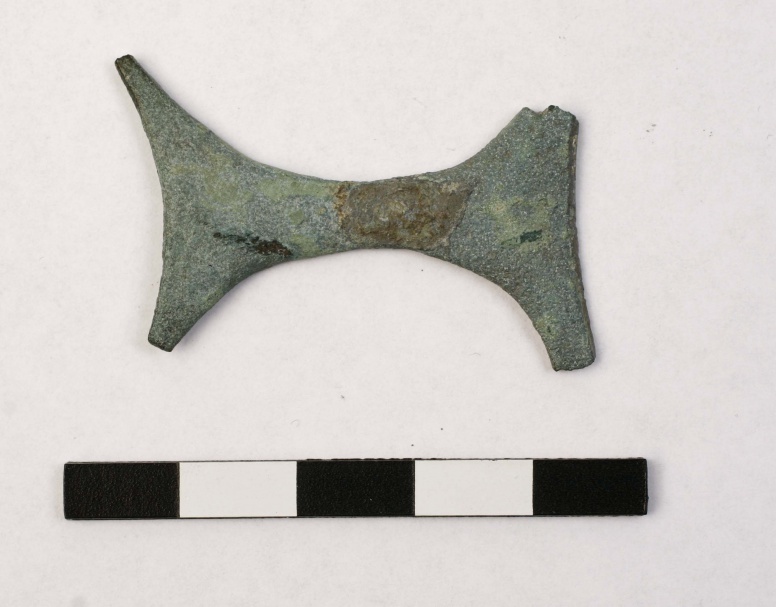 Among costume items, a large number of different types of fibulae can be distinguished, including the characteristic bronze fibulae of the Vinkovci type with bow forged into the shape of a triangle or a leaf. Fragments of glass bracelets and beads were collected, too. 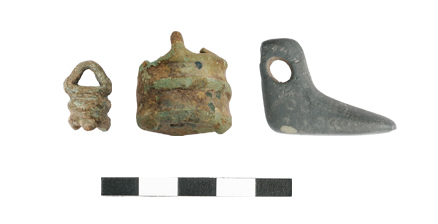 Horse gear finds include strap separators and buttons decorated with the motif of a triple helix. There were also Scordiscan coins and drachms of Dyrrhachium and Apollonia. 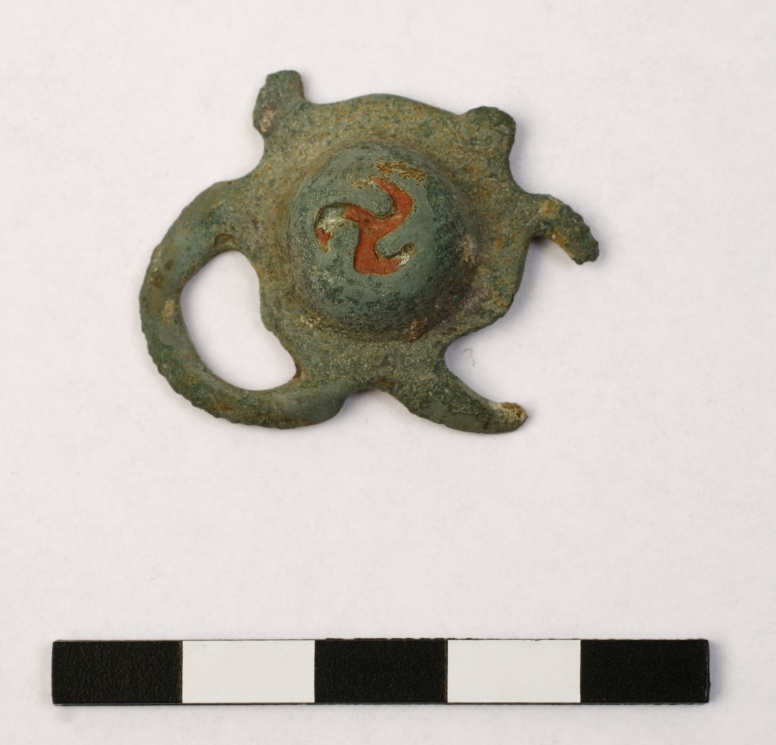 In view of the numerous finds of metal objects, it can be concluded that this was a prominent Late La Tène settlement of the Scordisci, which participated in the exchange and trade with central Europe, the south-eastern Alps, the western Balkans and the Lower Danube Basin.